HostingRaja use best virtualization platform such as KVM, VMWare for Linux VPS. If you buy Windows VPS Web Hosting you will get latest version of IIS servers, pre-installed Email servers, fully 100% managed support, MSSQL connected to Plesk panel and ready to use. It is used for a commend link. It is used to maintain firewalls. It is a front end module of IP Tables. 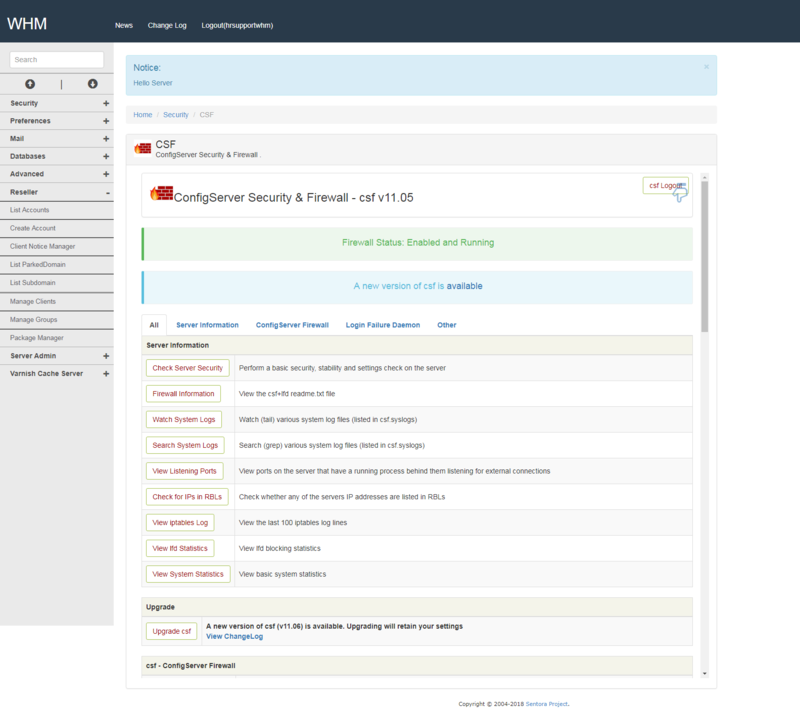 CSF is nothing but Configure Server Security and Firewalls. 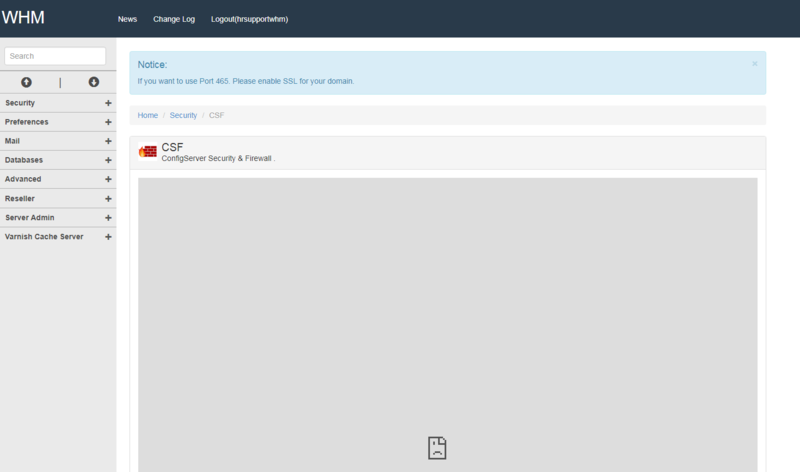 To help with the ease and flexibility of the suite we have developed a front-end to both csf and lfd which is accessible by the root account through cPanel, DirectAdmin and Webmin. From there you can modify the configuration files and stop, start and restart the applications and check their status. 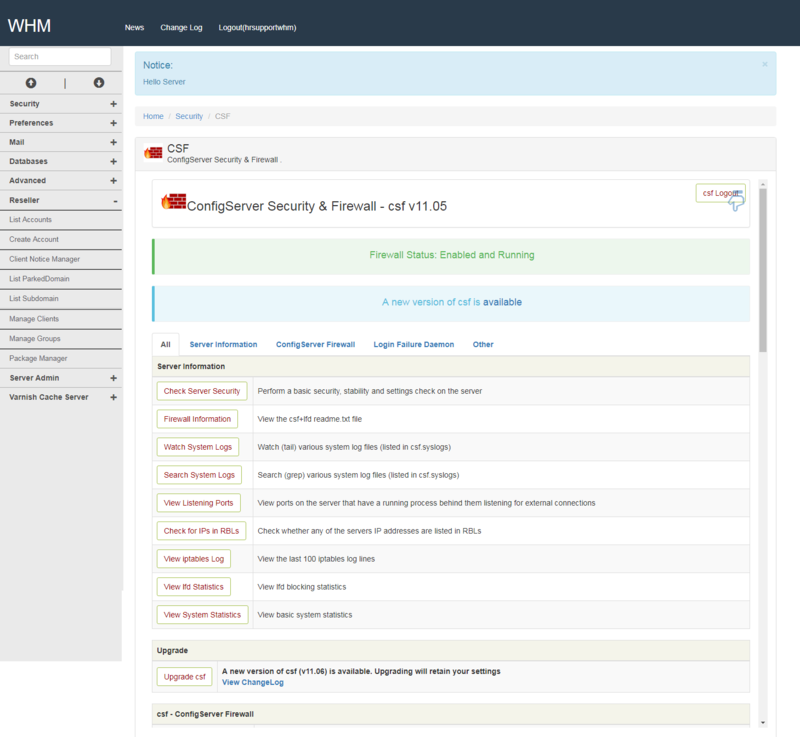 This makes configuring and managing the firewall very simple indeed. 1. Go to google chrome and type http://45.114.79.104:8088/ than it will take you to ConfigServer Security & Firewall page. 2. Than copy and that like and paste it on top where we put the link in WHM of HR Panel - CSF. 5. You can do many config using that which comes under Server information, Config Server Firewall, Login Failure Daemon and other. They can config Watch system Logs, Search IP, View System Statistics, Upgrade csf, Quick Unblock, Firewall Disable, Temporary IP Entries, Search IP, Ifd Restart, IFD Dynamic DNS, Test iptables etc. VPS are of two type they are Linux VPS and Windows VPS. You can compare and choose the best plan for your website at affordable price with HostingRaja. We provide the best VPS. Using CSF you can maintain firewall and IP Table. What is DNS Propagation in Website?